Technology is everywhere—it’s all around us, but it’s not the same for everyone. For most of us, technology provides convenience or makes our lives more interesting. But, for kids living with disabilities who often face significant barriers and challenges in the world, technology is far more than that—it’s essential to everyday life. For these kids, technology is truly a life-changer. We’ve all heard of information technology, mobile technology and even wearable technology, but what about assistive technology? For kids living with disabilities, assistive technology and specialized equipment provides a means to move, to communicate, to experience the world and to access life. It turns a world of limitation into a world full of possibility. A power wheelchair provides independence, a specialized walker provides freedom, a porch lift provides access, and a speech recognition device allows a mother to hear her child say, “I love you” for the first time. Assistive technology helps break down barriers, eliminate obstacles and enrich lives. For kids living with disabilities, technology opens up the world—it has the power to help these kids realize their full potential and become unstoppABLE! But this technology is expensive and a child’s equipment needs can be extensive—for many families, the financial burden is overwhelming. For a family, it can cost more than $40,000 per year to care for a child with a severe disability, yet some of these families have a total annual income of barely that much. Of the families who requested financial assistance from Easter Seals Ontario in 2015, 64% reported a total household income under $60,000; 48% had a total family income under $40,000; and 28% earned less than $20,000. Add to that the fact that children outgrow their costly equipment like they outgrow their clothes, and it becomes clear why many families turn to Easter Seals for help. Across Canada, Easter Seals provides financial assistance and delivers a range of direct-to-client programs to help ensure that kids living with disabilities have access to the essential assistive, adaptive, communications and learning technology that will dramatically improve their quality of life and equip them for future success. However, because this specialized technology and customized equipment is so expensive, there is a limit to how many kids we can help. Every year, families who desperately need a piece of technology for their child are placed on wait lists, turned down for support, or are forced to make due with what they have because we simply do not have the means to help them all. This is where CENTUM can help. The CENTUM Tech4Kids Program will leverage the power of CENTUM’s more than 260 mortgage centres and over 2,700 mortgage professionals nationwide to help raise the funds necessary to purchase and provide life-changing assistive technology and equipment for kids living with disabilities across Canada. All the funds raised will go towards the CENTUM mortgage professional’s individual fundraising total, as well as the cumulative total for their CENTUM mortgage centre. Fundraising goals can be set individually, or as an office to fund the purchase of life-changing equipment and technology. CENTUM - Helping Kids Become UnstoppABLE! As a company we are proud to be associated with Easter Seals and committed to changing the lives of these remarkable kids. Our business revolves around “interest” and looking for the best possible interest rates for our clients. This is a different kind of interest - we can’t think of a better interest to have! 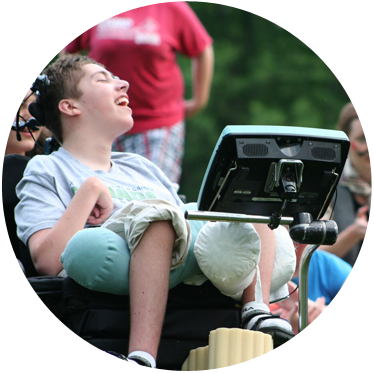 Providing assistive technology so these kids can truly access their lives is what we are committed to do. We also say to our clients, “You have the right to experience financial freedom.” This program provides the ultimate freedom – freedom for these kids to get where they need to go, do what they need to do, be everything they can be. Join us in supporting the CENTUM Tech4Kids Program and help us help them become unstoppABLE! All donations in support of the Tech4Kids Program are tax receiptable. Easter Seals is a trusted industry leader and Canada’s largest local provider of programs, services, issues-leadership and development for the disability community. For more than 90 years, we have worked to enhance the quality of life, self-esteem and self-determination of all Canadians living with disabilities. 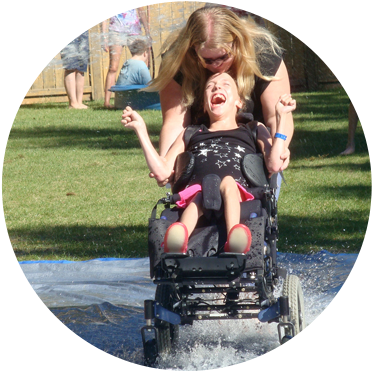 Easter Seals Canada delivers nationwide programs to raise awareness and critical funding, and our provincial organizations offer transformative programs and services at the local level. 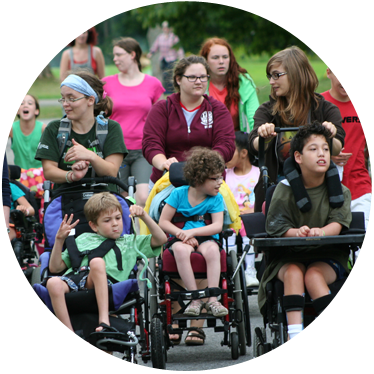 Serving a broad range of people—both children and adults—with varying physical, intellectual, sensory and learning disabilities, we help to ensure that everyone with a disability has access to the equipment, programs, services and support they need to make the most of their abilities. For a child living with a disability, life can be complex, difficult and demanding—placing tremendous strain and stress on the child and their entire family. The simple everyday routines and rhythms of life that seem effortless to most of us, are often filled with countless barriers, challenges and obstacles—making life anything but simple for these kids. Having a disability can severely limit a child’s ability to access their world and enjoy the same experiences as their able-bodied peers. For many kids, a disability can also affect how they see themselves and how they view their own abilities. It can lead to lower self-confidence and self-esteem, causing them to doubt their future potential and their ability to contribute positively to their community.